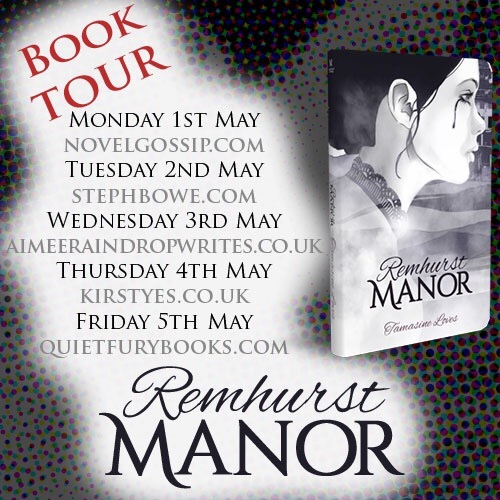 I’m really pleased to be part of the blog tour for Remhurst Manor by Tamasine Loves and happy to share her guest post on A guide to YA for “grown-ups”. For a chance to win a copy of the book please share your views on this topic in the comments below and I’ll randomly pick a winner on Sunday 7th May. Despite having written a young-adult book, I am apparently no longer considered a ‘young adult’. At the seasoned old age of 24, I no longer qualify as a member of the YA demographic. I therefore feel perfectly placed to provide a rough guide to YA fiction for those of you who class yourselves as “grown-ups”. As grown-ups we are reminded to “Think of the children!”. Regrettably, it’s not reciprocated. Young Adults are too busy thinking about some life-changing personal issue, discussing themes and issues related to YA and the world of YA overall. They are too engrossed in the worlds that YA authors have built and the themes within those. They aren’t bothered whether you care if they saw a curse word on page 76, or if the almost-raunchy kissing scene in chapter 5 might’ve turned them on a little bit. YA readers don’t get enough credit. YA readers and their concerns are not ‘concerning’ in the way self-labelled grown-ups think. How many times have you noticed that ‘serious’ literature often does not provoke serious thought? Often, it leaves the reader stumped – they simply don’t get it, or they only get it to a point. Let’s face it; an issue is more memorable if it’s presented atop a fire-breathing dragon in the middle of a snow-storm as opposed to a beige-walled apartment in a small-town. YA has the power to really bring issues to life. The ‘serious’ and ‘literary literature’ of today is thought-provoking but it is also alienating – in the sense that you don’t want to associate yourself with the characters in it that reflect you/are representative of you. Whereas you want to see yourself in the persistant champion of the People who just brought home the head of the undead Sherriff and placed it in the middle of the clock tower to symbolise it was time to end the archaic ideas and ways the community was ran – they are cool. YA readers don’t care if you care if they read YA. The shame and embarrassment you might feel when talking about which books you’re reading are your own projection, of your own making. That kind of thing wouldn’t exist in a forum where YA readers contribute. Because YA isn’t about that life. Let’s take the cyclical ho-humming in the press about the ‘too much violence’ or ‘lack of wholesome stories’ or (and I’m gagging here) ‘lack of morally complicated stories’ back to where they belong – a brief high-horse rant at your fortnightly book club’s meeting, wherein the other members respectfully let you get out a few sentences since you’ve had some wine and they’re open-minded people, but the one with the shortest temper cuts you off because your point is invalid, irrelevant, and nobody cares … they want to go back to discussing the actual book. You don’t have to wonder why they were all reading it. Commentators who put emphasis on the juvenility of ‘YA fiction’, unnecessarily complicate things. They stew over questions that have quite straightforward answers. The grown-up obsession with the overall wholesomeness of YA as a ‘genre’ muddies the waters of discussion surrounding YA. There seems to be a vast, seemingly bottomless, pool of discussion for commentators to dip their toes into. “Diversity in YA literature”, “the effects of frequent reading on the young brain”, “exposure to abstract thinking” and “exposure to bad ideas and concepts” and a whole range of other topics. The thing is that in no other community of fiction readers is there such an open and active forum for discussion and a strong call for the deconstruction, and in some cases all-out demolition, of these tropes. “Grown-ups” may not even be aware of Tumblr’s ‘booklr’ and ‘yalit’ tags, yet these are just the surface of the surge of YA readers contributing their two-cents on the state of YA. To the casual visitor, from the outside, YA is a dauntingly dark-and-deep pool, with only their preconceived ideas to contribute to an imagining of what lays underneath – but in actual fact, YA is a rapid river, overflowing, unpredictable, responsive to its climate, and just asking for you to sit on one of its smooth rocky outcrops and let the rapids rush past your body, surrounding your skin. We “grown-ups” are, as usual, talking about the wrong topic. Barking up the wrong tree. YA is not a spectator sport. Or a genre. It is more like an unrequited love; except that, unlike that old trope, YA will love you back, if only you let it. YA is for one and for all. But it’s not for everybody. The writing style, the typical characteristics and common themes might not appeal to all readers. But, that’s why there is a suggested age range – to ward off those not open to reading books containing characteristics and themes that would appeal to that target audience. Any connotations attached to the ‘YA’ label, besides the age range and that the author of the book imagines their target reader as being between the ages of 12 and 17, are the responsibility of the person thinking them and are not representative of the reality of YA books as a whole. Anyone who smirks when you pull out your copy of Red Queen on the train simply does not know. That smirk says, “I hate YA. So trivial, simple, such a bore”. What’s that? Have you read much YA? “No, I don’t read that nonsense, but I saw the trailer for Hunger Games”. In other words, you are not an authority. Those who are authorities on the matter of books and words and what they mean have only respect for the books targeted at the YA demographic. What’s stranger yet, is these ‘grown-up’ readers aren’t who you’d expect to hear disavowing a whole category of books; they’re book-reviewers, or columnists, journalists, or even, on occasion, fiction writers. Additionally, they invariably profess to love books and reading. Why do they repeatedly adopt the sort of stance on an issue you’d expect from the kind of man who spends weekday afternoons sat in a rocking chair on his porch ominously rocking back-and-forth while he polishes his shotgun? I haven’t worked it out yet! What I’ve discovered over the course of a year pursuing the truth is that pretty much none of those who are against YA claimed to have read more than a handful of YA books, and the books they’d read were invariably the ‘big hitters’ like Hunger Games, Divergent and Twilight. What fascinated me most was that they actually had read quite a lot of YA, they’d just not considered it to be ‘YA’ in the rigid terms that they’d learned. They were looking for a book to be inside the parameters of that classification from the past decade or so; YA, to them, was made up of disposable, quick-reads with character casts comprised completely of tropes, by-the-numbers love-stories and, invariably, plots occurring in fantasy settings. Or they thought that the book would be an “overnight-coming-of-age” story, wherein psychological repercussions associated with the ‘hard-hitting’ issues their characters’ typically faced (terminal illness, trauma, domestic instability, bullying, mental ill-health) were ignored, and the ‘hard-hitting’ issues themselves were put forward (and invariably cheapened) as plot devices. There is a reason that walking into a book shop doesn’t cause the same bodily and mental responses as walking into a hall of mirrors. Bookshops are full of worlds. They are inviting, and the possibilities of those bound pages are boundless. Meanwhile, sure a house of mirrors gives you different perspectives – sometimes they’re funny, like the one where you look like your head is huge and your feet are teensy, and sometimes they catch you by surprise – but you walk out having only seen yourself, just in a few different ways. Meanwhile, books are open doors. The other side of the door looks different to each reader. When you return back to the real world and close the door behind you, put the book back on the shelf, you’ve brought something back with you that is different to what other readers’ found and returned home with. You see readers on Tumblr, Reddit, Goodreads, wherever, discussing their favourite fandoms, critiquing their latest read, anticipating upcoming titles … the thought that goes into their comments is clearly motivated by adoration for reading and a want to get as much as they can. There is substantiated, scientific evidence that proves the benefits of reading on the young brain. Three-dimensional thinking, creativity, independent thought, analytical skills, and interpersonal skills are all qualities that are sought and coveted in corporate environments, employment settings/career settings. Not to mention, they’re handy skills that enrich everyday life and help to build more meaningful relationships. Ward of depression, and if mental illness does present itself – to the individual, or to someone around them – the average YA reader would be far better equipped to respond to its appearance than someone who’s not read any YA. YA is a good thing. Young people are reading as much as they ever have done, and this should be encouraged. We need as many readers in our real-world as we can get. And, for those of us who aren’t particularly taken by the idea of readers – we’re blessed that in our day and age we have other mediums to share stories on and engage in fictional narratives through. As the world has become more global, it is easier than ever to get information about any small niche that takes your fancy. We must encourage people to read YA. It is one of the keys to understanding the world around us. 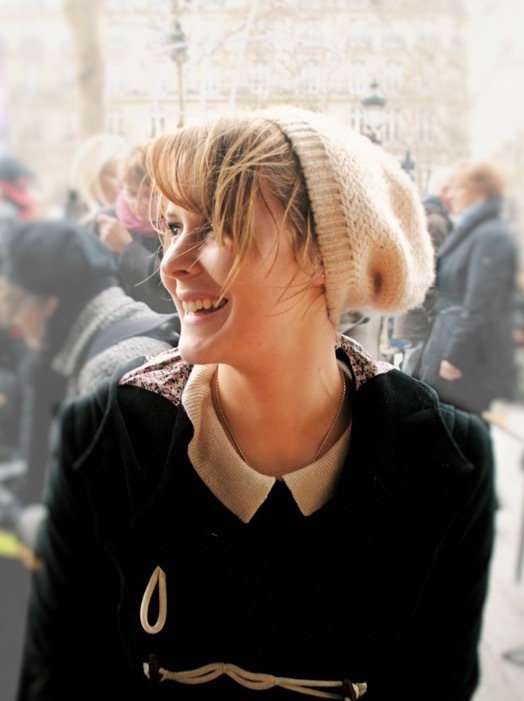 Tamasine Loves is an Australian author whose debut young-adult novel, ‘Remhurst Manor’, was first written for her high school friends and was delivered as printed serialisations and passed on in between classes. The serialisations were compiled, and there was a printed first draft of what would later become ‘Remhurst Manor’ just in time for her fifteenth birthday. Years later, as a twenty-three-year-old uni student, Tamasine Loves turned from ‘writer’ into ‘author’ during an internship at MadeGlobal Publishing. She was introduced to the MadeGlobal team as an intern, and was then reintroduced several months later as the author of ‘Remhurst Manor’. Tamasine has recently moved from Melbourne, Australia to Belfast, Northern Ireland. Tamasine is a sub-editor for two peer-reviewed journals. She has published short stories and poetry, but telling long tales is where her true love lies. Tamasine lists her favourite things as literature, lattes, live music, alliteration, and her cat called Morrissey (who, she insists, is indeed ‘a charming man’). Thanks so much Tasamine for such a great post. As an ‘adult’ I love YA Books and totally agree they are well placed to help us explore the serious topics whilst still having fun. There is a mystery that lies in the grounds of Remhurst Manor; a mystery concerning the unsolved 19th century murders of four teenagers. Laine Brimble is slipping between two lives. Her life at home in present-day Australia, and the life of a nobleman’s daughter living in 19th century England’s Remhurst Manor. Until now, Laine was able to keep her two lives separate and secret. But, Laine is about to find out that though centuries past and oceans over, Remhurst’s mysterious history is about to get a lot closer to her than she expected; a dark presence has arrived in her hometown, seeking to settle a centuries-old vendetta. Between home and school and the 19th-century, not to mention a blossoming relationship with new-boy-in-town, Laine struggles to keep past and present on parallel paths … but it seems as if they are on a collision course where the inevitable outcome is death. Will Laine unearth the mysteries lying in the grounds of Remhurst Manor? Can she be the one to finally put Remhurst’s past behind it? Will she do it before a deadly history repeats itself? 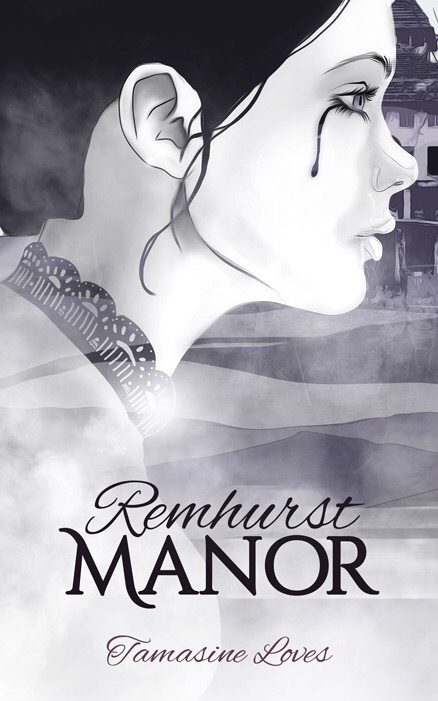 Get your copy of Remhurst Manor here or to be in with a chance of winning a copy share your thoughts on her guest post in the comments below (Open Internationally). Posted on May 4, 2017, in Author Interviews and tagged Blog Tour, Guest Post, Remhurst Manor, Tamasine Loves, YA. Bookmark the permalink. 2 Comments. Some really interesting points, and I definitely agree that as grown ups we get caught up too much in what in fiction has ‘value’. I have read some stinking books in my time, but I have experienced the good and the bad and made up my own mind on what has value to me – with the wealth of YA books alongside genre books, classics, whatever why not let young adults read widely and make their own, similar choices?